The bobcat (Lynx rufus) is a master of adapting to a wide variety of lush as well as marginal habitats. Found in Mexico, the United States and Canada, it is at home in deserts, mountains, forests, farmland, swamps, brush land and even in the suburbs. Its superior adaptability makes it the most widespread wild cat in North America. The camouflage afforded by the bobcat’s fur coat makes it an almost invisible stalker. Its fur is described as yellowish-brown, reddish-brown, grayish-brown or orange-brown with dark markings and black-tipped outer hairs. 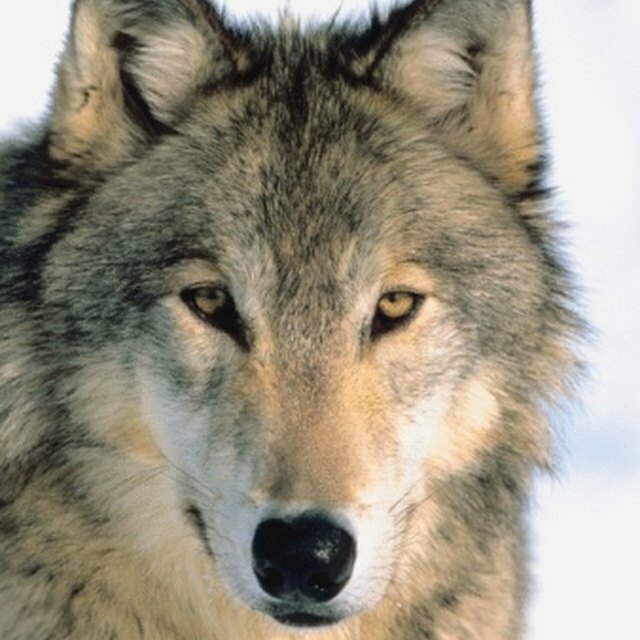 In winter, its fur turns more grayish, which is an important adaptation in northern climates where there is often snow. It is sure to blend in whether traveling across brown desert landscapes, grey rocky outcrops or dark forests. The bobcat relies on its sharp claws for climbing, fighting and hunting. 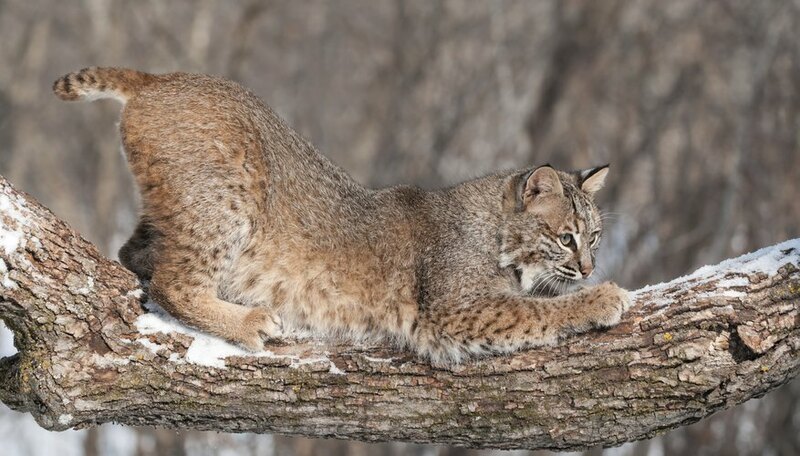 While walking, the Lynx rufus retracts its claws to keep them sharp, but quickly extends them when it is time to pounce on prey, defend itself or climb a rock or tree for a better vantage point. Its teeth are likewise pointed and sharp for biting the base of the skull, throat and chest area of prey. The bobcat’s powerful jaws rip meat into tiny pieces which are swallowed, rather than chewed. Lynx rufus is a patient, stealthy stalker that is rarely seen. Several adaptations make the bobcat a lethal predator. It is an expert climber and fast runner that can leap up to 10 feet. The bobcat combines its skills and adapts them to the prey it is hunting. At times it may lie in wait, ready to pounce on its prey. Other times it may stalk and then rush or it might jump from a tree limb onto the back of an unsuspecting animal. The bobcat begins hunting at twilight. Its large eyes are well suited for seeing clearly in the dark. It has tufted ears that effectively capture any sound or movement, an advantage for hunting deer that have bedded down for the night. Bobcats hunt alone and will travel up to a 25-mile range if necessary to find food. It prefers meat, but will eat beetles, eggs and even carrion if food is scarce. Another adaptation of this nighttime hunter is its ability to go several days without eating and to use caches to store leftover food. Canadian researcher and writer Lynn Iles has been writing nonfiction, training resources and reports since 1989. She is published in “Permacharts,” “Family Camping” magazine, “Recreation Canada,” “YES MAG” and “Our Canada.” Iles holds a Bachelor of Arts from the University of Waterloo in recreation and a Master of Environmental Studies from York University. Iles, Lynn. "What Adaptations Does a Bobcat Have?" Sciencing, https://sciencing.com/adaptations-bobcat-8153982.html. 13 March 2018.